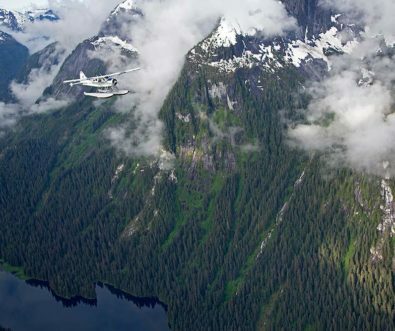 Southeast Alaska’s Misty Fjords National Monument is just a short flight from Ketchikan, allowing you unbeatable access to this pristine wilderness area via seaplane. 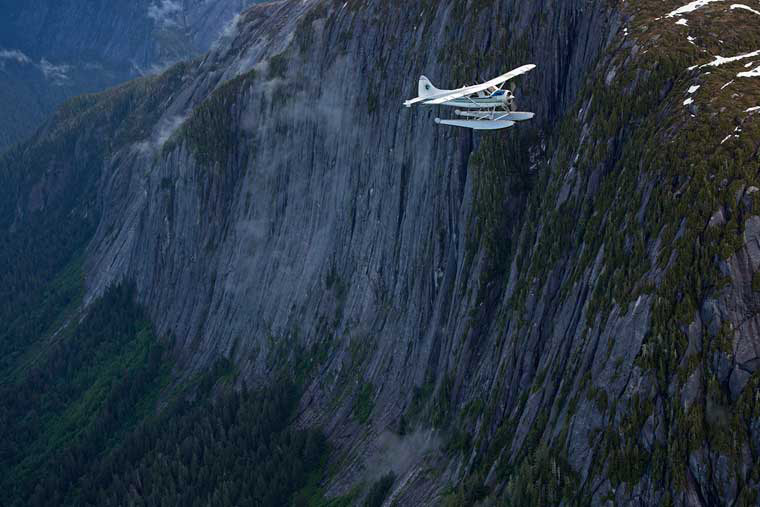 Soar above this majestic work of nature with a unique personalized tour from the air. 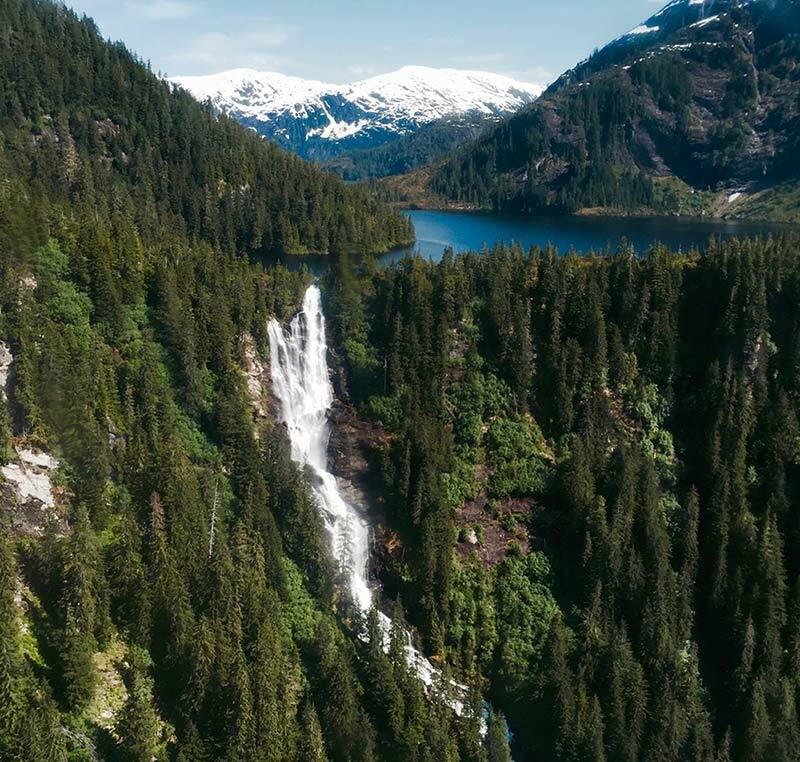 3,000 foot granite walls that are fractured by time and scoured by glaciers thousands of years ago, plunge thousands of feet into deep fjords.The misted mountains lift snowfields and wildflowers above the tree line. Waterfalls cascade out of rock clefts and disappear into the forest slopes. The lush mountaintops covered with ancient green trees clinging to the steep slopes while high valleys cradle picturesque lakes. 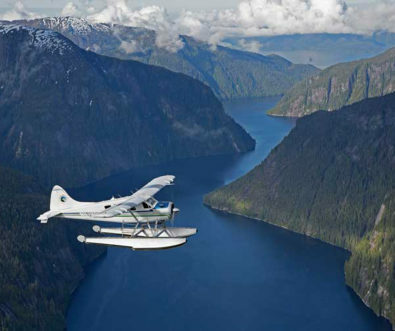 Just when you think you have hit the peak of your experience, your floatplane will touchdown on a salt water fjord or mountain lake and feel the colossal beauty with all of your senses. 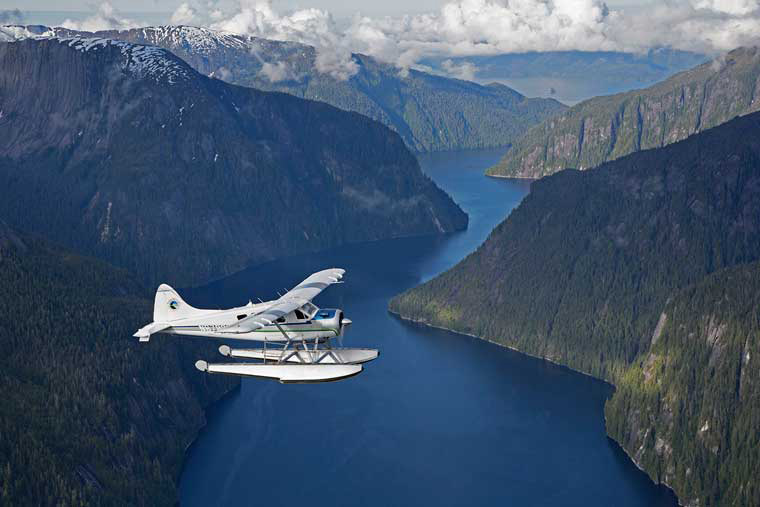 Book at Misty Fjords tour through Seawind Aviation today for a sightseeing experience like no other! 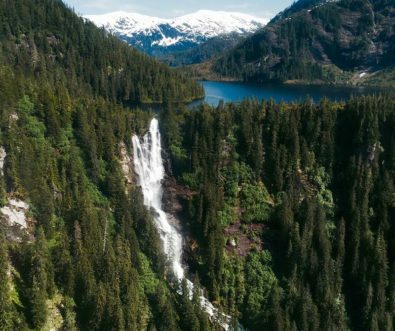 The Misty Fjords National Monument landscape and the living things in it are a protected 2.3 million acres. The area has been managed by the U.S. Forest Service continuously since it became a wilderness area in 1978. 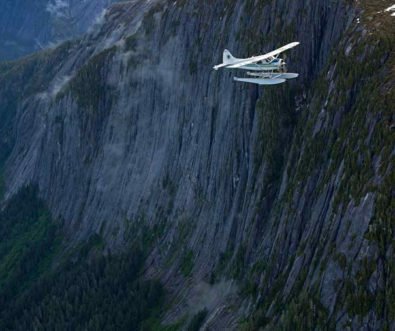 Your pilot will call your attention to any spectacular Alaskan wildlife often seen in the monument and the Tongass National Forest. 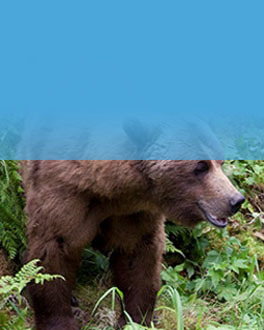 Sightings may include brown and black bears, mountain goats, bald eagles, orcas and humpback whales. On the occasion that wildlife is close by, photo opportunities will be afforded right from the floats of the plane! 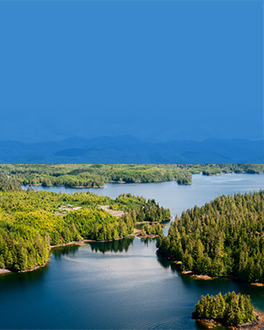 By the time you begin the journey back to Ketchikan, you will have made memories to last a lifetime. Every passenger has a window seat. Enjoy the cascading waterfalls pouring from misty mountains. Once in a lifetime photo opportunities await in this pristine untouched wilderness. Personalized narration only – no recorded tracks. 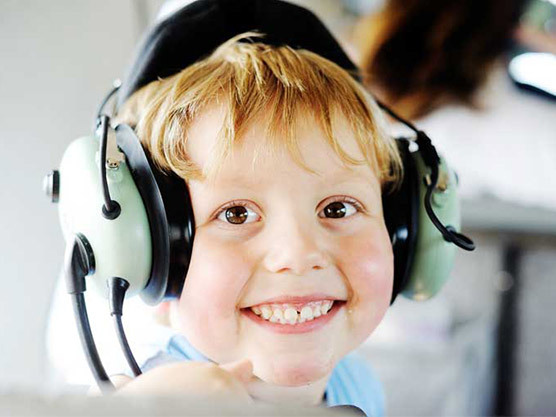 2-way communication headsets to allow conversation with the pilot and passengers. 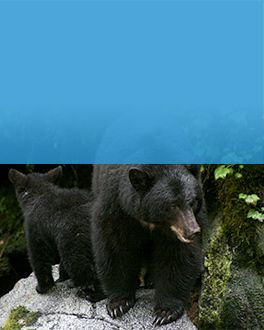 Wildlife sightings are possible and can often be seen in the area. Tour Length: This tour is 1.5 hours with a 20 minute shore stop in the Monument to be able to get out and stretch your legs, take pictures, and breath in the fresh air. Every flight is unique. 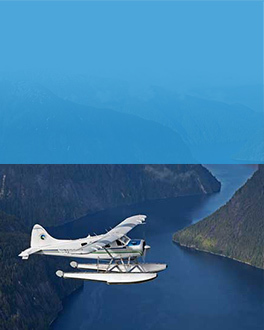 Your pilot will make a decision on where to land based on weather, wild life and accessibility. You’ll be able to learn all about the magnificent Misty Fjords through the live narration and conversation with your pilot. 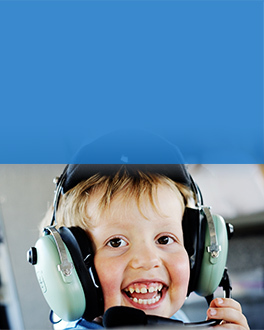 Every passenger is provided a voice activated headset that is designed for aviation and allows communication between you, the pilot, and others onboard. 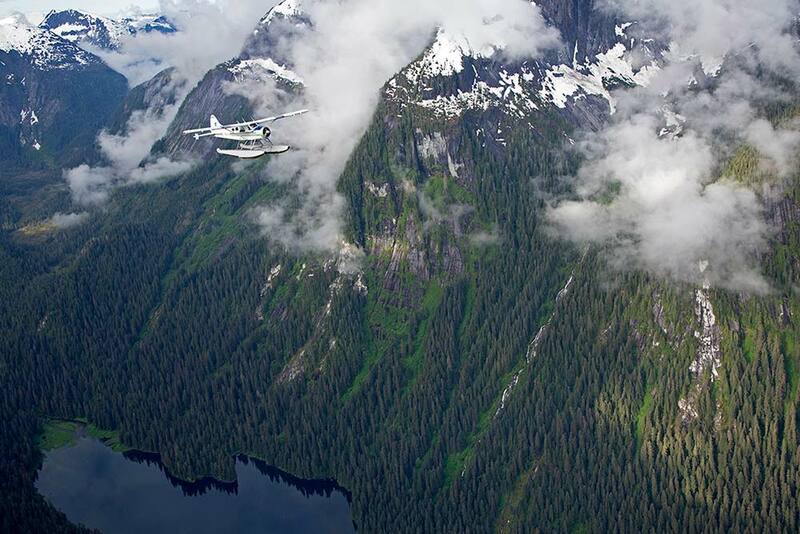 During each flight, we will touch down on either a remote mountain lake or a calm saltwater inlet. When the weather permits, we have the flexibility to alter itineraries and cater to personal preferences. 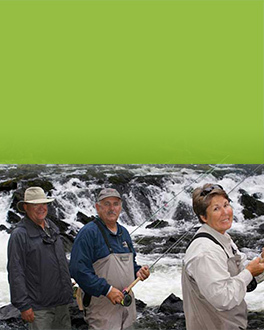 This ability allows the opportunity to view nearby whales, watch bears fish in the wild, celebrate a special occasion or simply spend as much time as possible in this unique landscape. We are often able to take the airplane to shore, giving you the opportunity to step out and enjoy the beauty, take priceless photos or simply breathe in the freshest, most fragrant air anywhere. “SeaWind was awesome. From the super convenient pick-up at the cruise ship, to the friendly staff at the office to the actual flight. 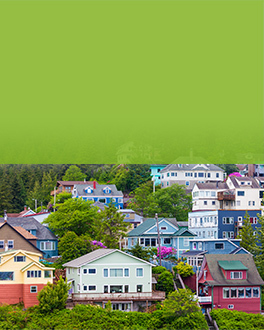 I witnessed the staff being super helpful and patient with customers that had mobility issues. The flight was amazing and included actually getting out at the fjord on a dock to allow for photos. The pilot was super friendly and knowledgeable. We had the ability to actually talk via headsets while in flight to the pilot and the other passengers. The value for the price was exceptional. It was the highlight of our entire trip to Alaska and Canada. The folks at SeaWind were genuine, warm and down to earth… not a corporate or cold experience. Loved it! Not sure which flight’s for you? Don’t worry, our staff have all flown SeaWind’s many tours and can provide experience and guidance firsthand on which tour is right for you and the company you bring.